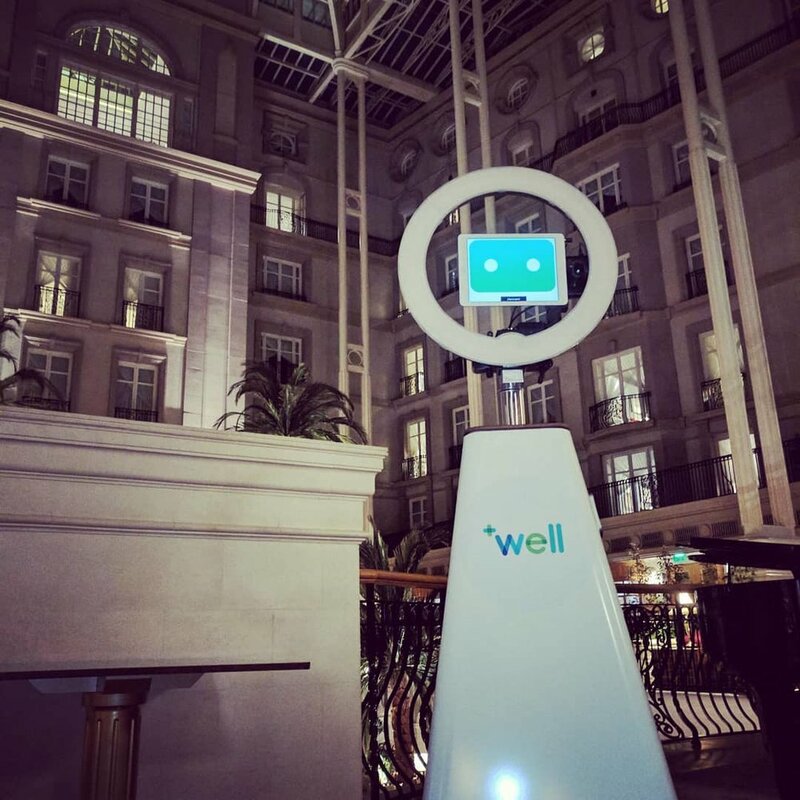 Imagine this… a 6 ft selfie robot roaming the crowd, chatting to each of your guests and capturing their surprise, laughter and excitement with printable photos. Selfiebot surprises and delights with fully customisable speech interacting with guests through brand tailored personality. Selfie bot comes with three apps to help you make your event awesome. For hire throughout US, UK, Italy, Australia. Selfiebot can be shipped to other locations on request. 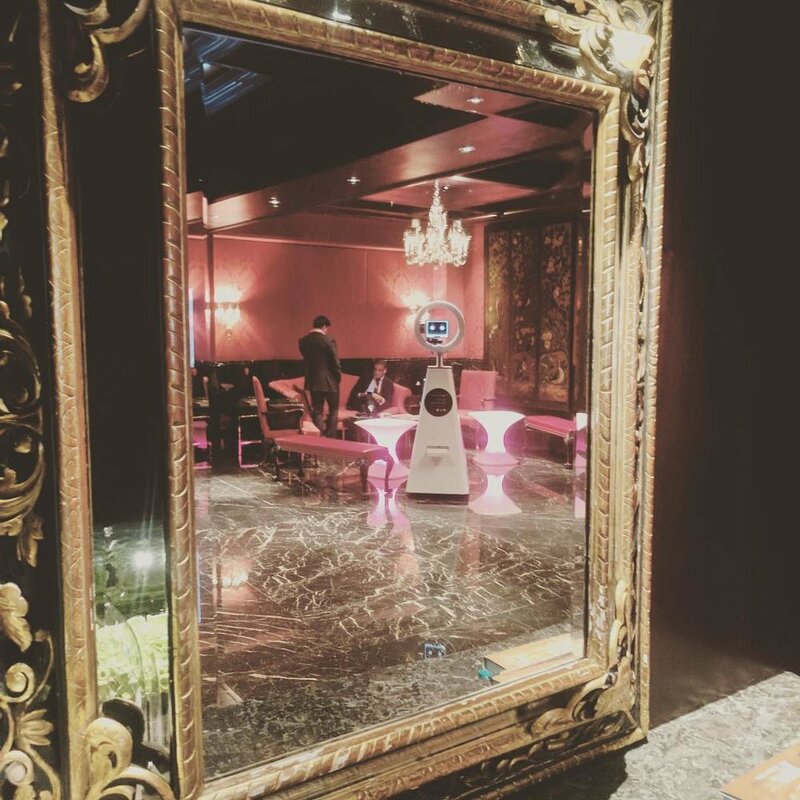 Selfiebot Photobooth engages your guests by talking to them just like a chatbot or voice assistant. The robot incentives interaction and offers to take their selfie. The photos are sent to your guest via SMS or email and printed instantly. 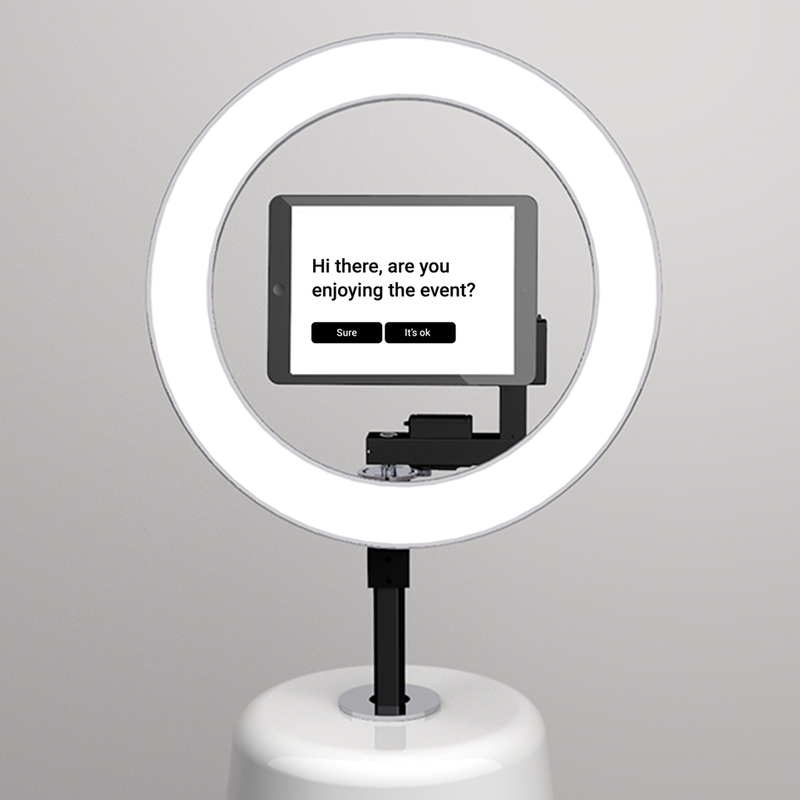 Selfiebot Vox is designed to roam around your event interviewing your guests and video recording their responses. A great way to generate sharable video content and get rich feedback about your event. Rent Selfie bot for a long period for your stores! The robot is a great data capture and social content creation tool. The perfect fit for an innovative brand or product. Everyone loves a photo booth and Selfiebot takes this experience to the next level. 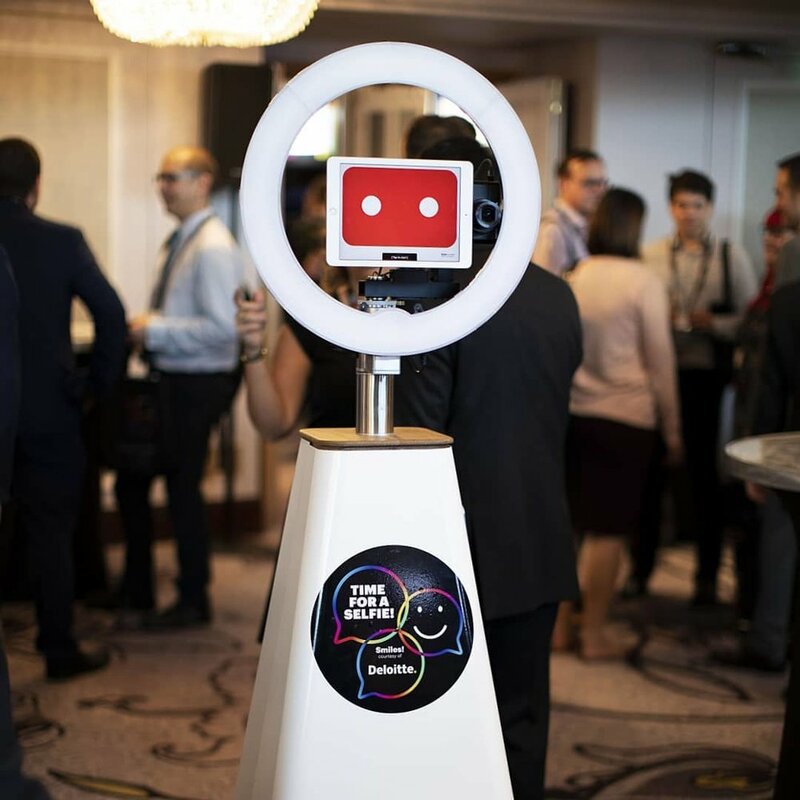 Roaming amongst the crowd, the robot surprises and delights with fully customisable speech interacting with guests using your brand’s unique tone of voice. Selfiebot can print photo’s instantly or send them to guests via SMS or email which encourages social sharing. This will give you an effective data capture tool for re-targeting and guest follow ups. Selfiebot can be further customised with branded photo overlays and ‘on -bot’ branding creating a premium experience for your guests. 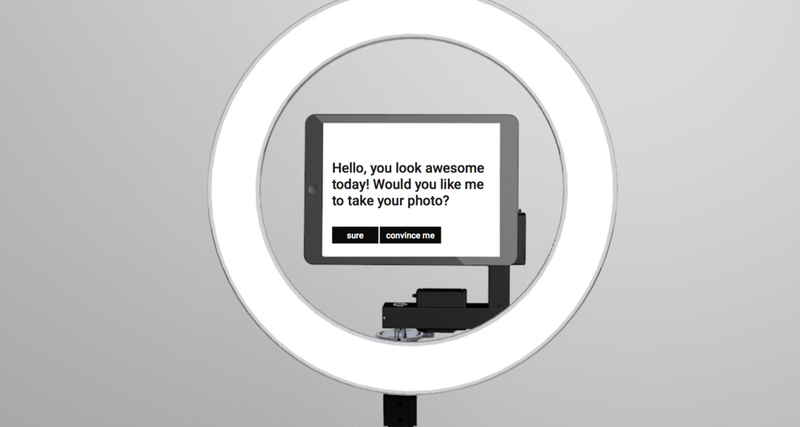 Selfiebot Photo booth is available for rental worldwide. 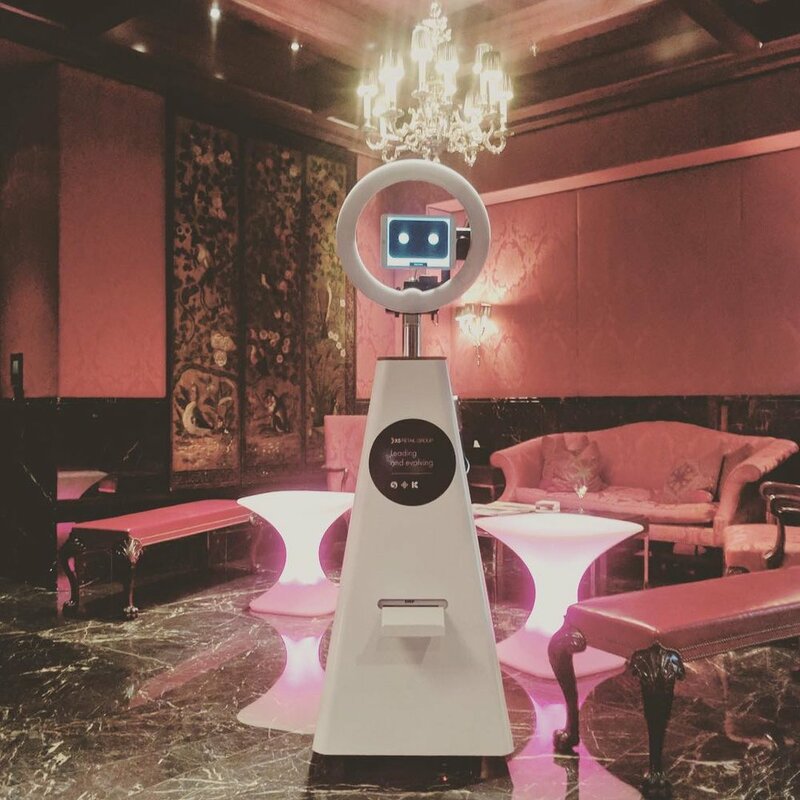 Selfie bot engages your guests by talking to them, inviting interaction and offers to take their photo. Don’t fret over foot traffic or where to place your photo booth, Selfiebot can navigate to where it’s needed, when it’s needed there. Make the moment last longer and treasure the memory. 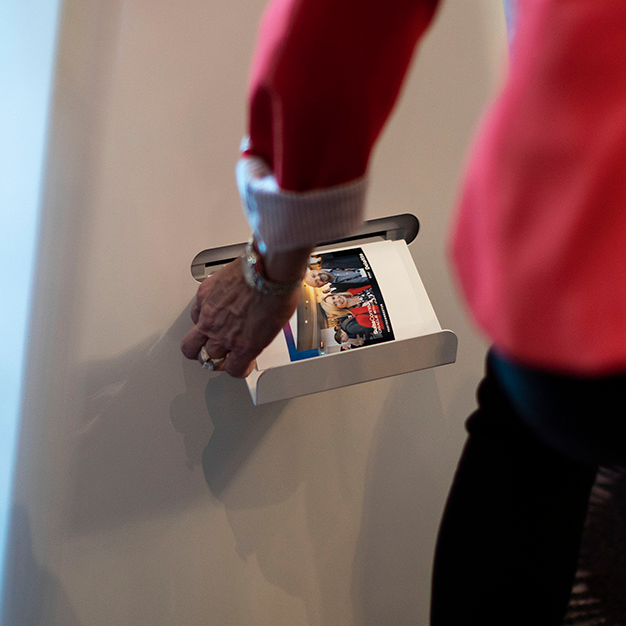 Selfiebot can print your guests photo or photo strip. Traditional photo booths are extremely popular but have not evolved. The reaction to Selfiebot is incredible. People rarely get the opportunity to interact with robots so participation and engagement is extremely high. As well as creating a memorable and newsworthy experience, your guests will love having a memento to take away from your event. The future of Vox Pops is here. The term "vox pop" comes from the Latin phrase vox populi, meaning "voice of the people". Vox pop is a tool used in many forms of media to provide a snapshot of public opinion. Vox is the future of Vox pops. It's a robot designed to roam around your event interviewing your guests and video recording their responses. So, at the end of the event, you can have valuable rich video content you can use on your social channels. Vox is also an exceptional Survey tool perfect for product launches, red carpet and corporate events. Have you ever wondered what did your guests really think about the event you just wrapped up? Was it a success? Did they have fun? What was their favourite keynote speaker? And, have you ever wanted to get some quotes from the celebrities at your event to use on your social channels? Vox it's an effective and entertaining way to hear and see your guest feedback with the amazing detail of a video interview. All content you can use and share. Vox's script can be tailored to your own event and audience so it can ask the questions that really matter. 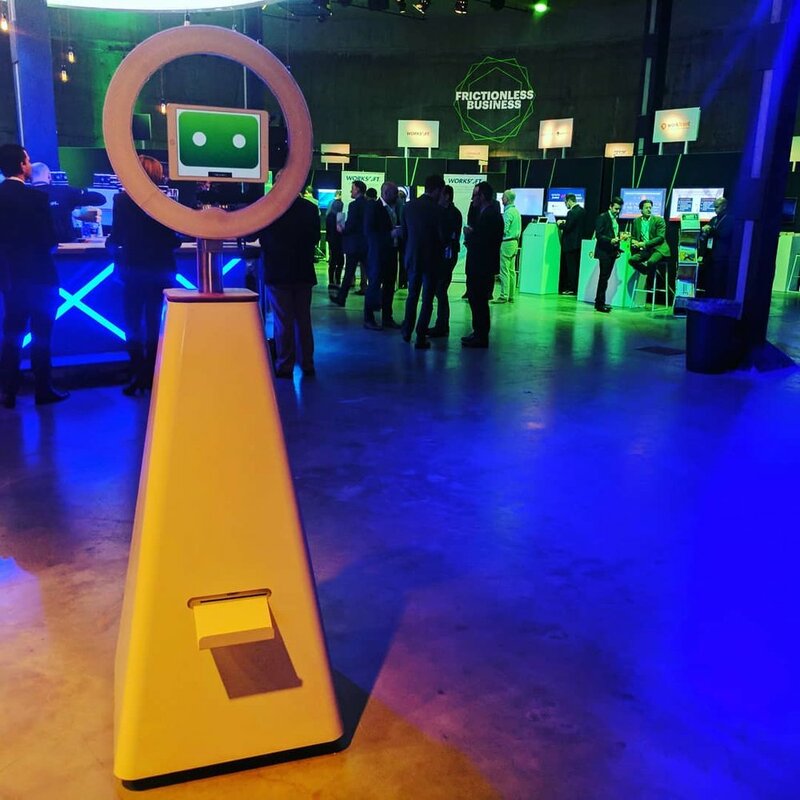 Since we started making robots for the event industry we learn a lot about what works and what doesn’t. 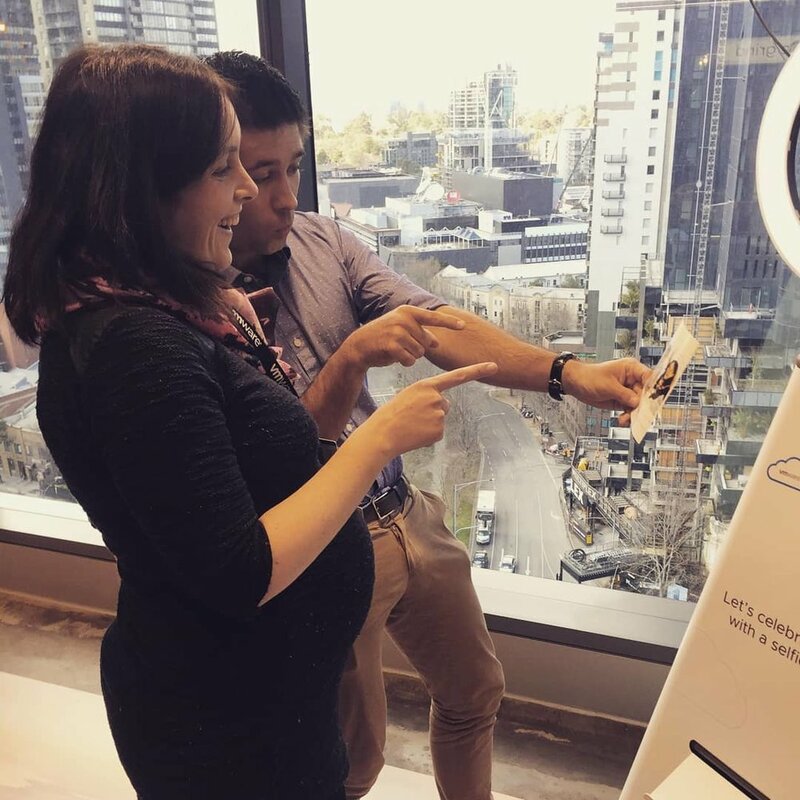 We would love to hear your ideas and brainstorm new ways to create positive experiences for your customers in store thanks to the unlimited possibilities of robotics and AI. 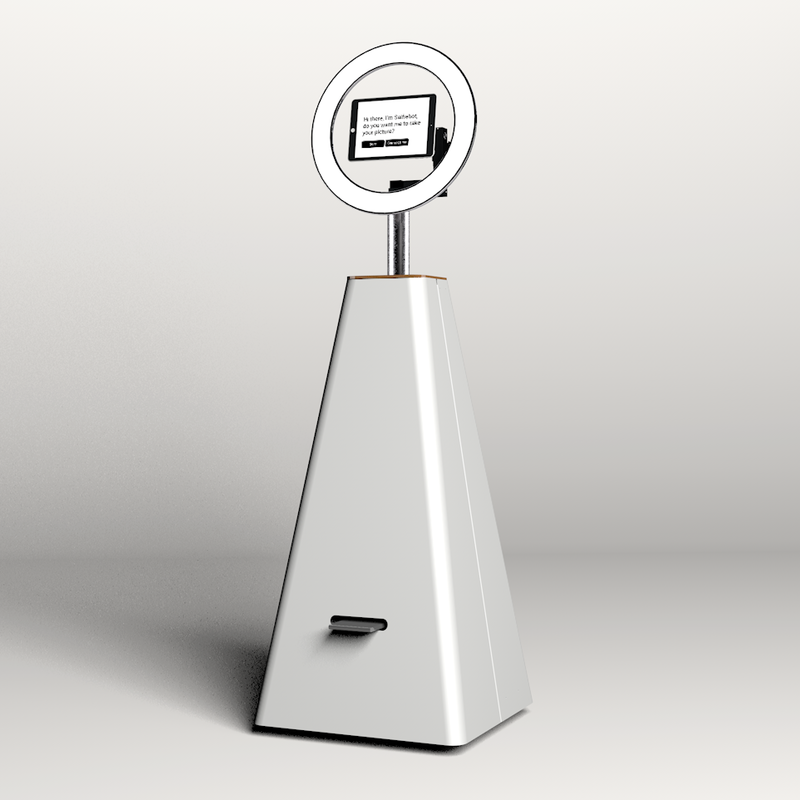 Selfiebot is the perfect way to amplify your event online. Get in touch to know more about how Selfiebot can add value to your event.